Kanye West believes he's owed some money, so he's taking it to court. The PABLO rapper has reportedly filed a lawsuit against two companies that helped launch his career, Roc-A-Fella Records and EMI Publishing. In the lawsuit against Roc-A-Fella, he claims he signed an exclusive recording agreement with the company. Apparently, the suit is heavily redacted, but TMZ claims he's asking for a declaration of his rights over a dispute he's having and he wants money. Naturally, folks came to the conclusion that Ye was coming after his homie (?) Jay Z, but Hov doesn't own anything in relation to Roc-A-Fella. A rep for Ye told XXL that the Hip Hop mogul sold his interest in the record company a long time ago and that Yeezy's lawsuit has nothing to do with Jay Z. "The media reports are wrong," says the rep. "Kanye West did not sue Jay-Z. Mr. West sued a company that Jay-Z once owned a piece of, Roc-A-Fella Records. Jay-Z sold his interest in that company many years ago. There is no fight between Kanye West and Jay-Z." In the suit, he does mention Jay Z as he recounts his career and rise to fame. He gives himself credit for “helping revitalize Jay-Z’s career" for the work he put in writing and producing Hov's classic album, The Blueprint. As for his lawsuit against EMI Publishing, he claims they owe him over a music dispute. Interesting. We wonder why the suit was redacted so heavily. No word on how much he's seeking, but we're sure it's for a hefty amount. 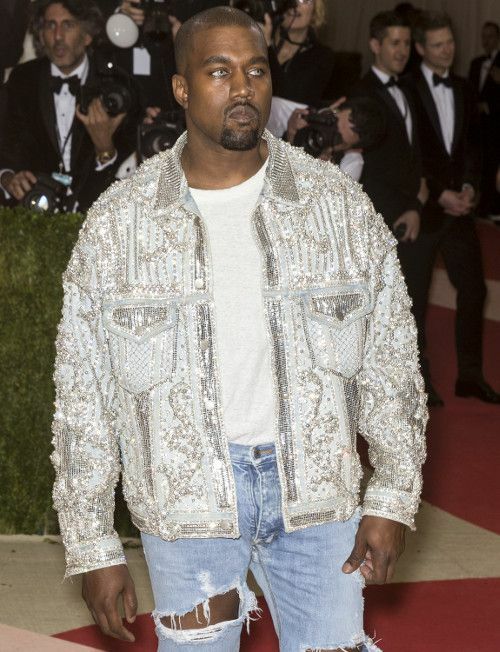 This news comes on the heels of reports that Kanye is being sued for $600,000 after allegedly scamming a Japanese fabric company out of money. Get those deets HERE. By the way, Ye just debuted a new tiger/zebra print-inspired hairstyle. He was spotted rocking the new 'do outside of his office in Calabassas yesterday (Jan. 25th) See it here. PREVIOUS: Nelly & Girlfriend Shantel Jackson Kick It In LA Amid Sexual Assault Case That Rapper Wants Thrown Out!